When independent rear suspension came out in the 1963 Corvette, it was cutting-edge technology that worked so well Chevrolet kept that same basic design all the way through two decades of production. Then, the world moved on to better-controlling rear suspensions featuring replaceable hub assemblies and the equivalent of four-bar rear suspensions. Many owners of those earlier Corvettes also have late-model equivalents they drive more often, and perhaps more aggressively. Thanks to Detroit Speed and its DECAlink rear suspension assembly, now those earlier examples of Corvette coolness can utilize technologies that not only compare, but surpass those more recent designs. Detroit Speed’s DECAlink rear suspension cradle connects the side framerails and crossmembers together for a rigid foundation. The 10-link suspension components then attach to this subframe assembly for a truly-adjustable, yet sturdy suspension. Detroit Speed has been producing their DECAlink rear suspension for 1963-1982 Corvettes for some time. The one stipulation to installing the system was the body needed to be removed from the frame due to the way the chassis components mounted to the framerails. 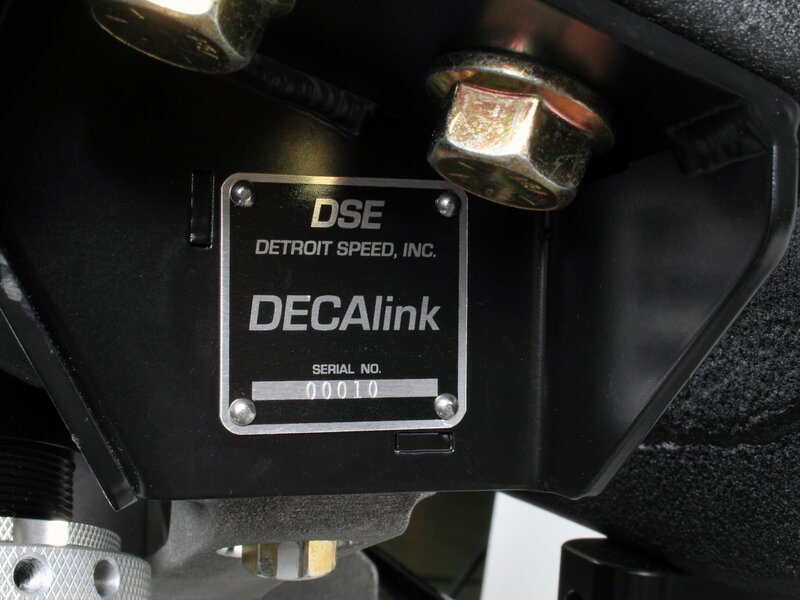 Now, installing DECAlink can be performed without removing the body and Detroit Speed has released videos showing the process, step-by-step. Everything pertaining to the DECAlink system mounts to the stout differential cradle, consisting of a two-part, aluminum casting (which greatly simplifies differential changes), thick-walled tubing, and pressed steel reaching out to the mounting locations on the vehicle’s frame. The cradle structure provides rigid suspension mounting and the 2-piece, cast-aluminum differential cradle makes maintenance and differential changes much easier than the stock or aftermarket suspension options currently available. Yes, there are some modifications necessary to your Corvette's frame to allow installation of the DECAlink rear suspension. 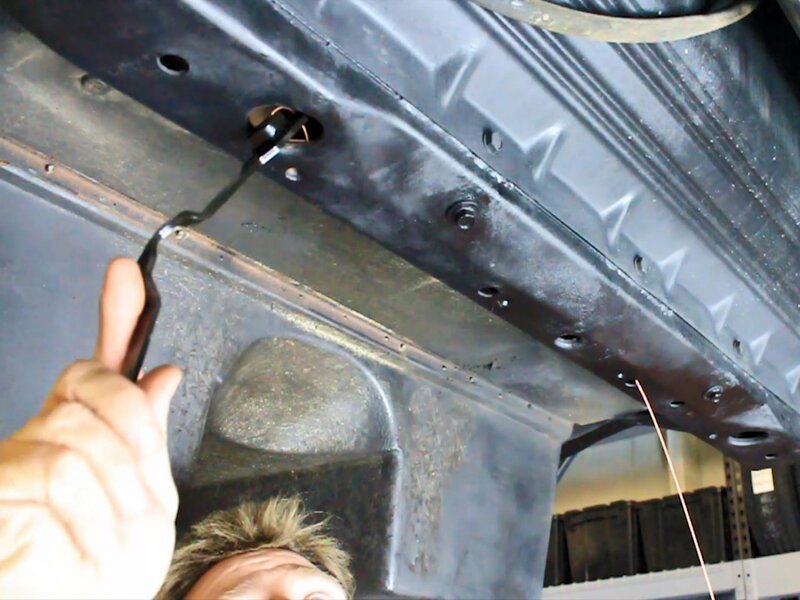 The original crossmember mounts need to be removed and some of the strengthening plates need to be trimmed back to allow for a solid, flat mounting surface for DECAlink. 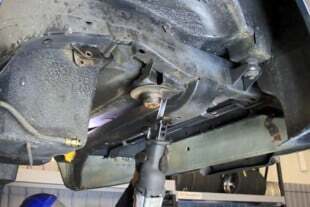 Mounting the DECAlink subframe so it is in proper alignment with the rest of the car's frame is integral to getting the best handling suspension possible. There are also guides for drilling the necessary holes or trimming the necessary areas for a perfect fit. The DECAlink suspension is based on the cast aluminum and steel cradle assembly. The cast aluminum section is a two-piece design that aids in future differential swaps and the entire cradle ties the frame together from the original differential snout mount to the rear crossmember. 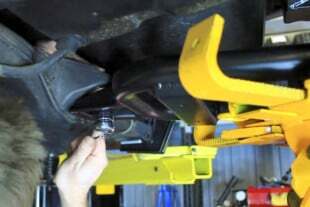 Re-engineering the way which DECAlink mounts to the frame means it can be installed from under the vehicle, without having to access or modify the top-side of the frame. There are a few frame modifications necessary to install the DECAlink system, but we’d bet if you’re looking for the level of performance and handling DECAlink will give your Corvette, numbers-matching isn’t your main priority. The 10-link suspension mounts to the cradle assembly and provides a myriad of adjustment. 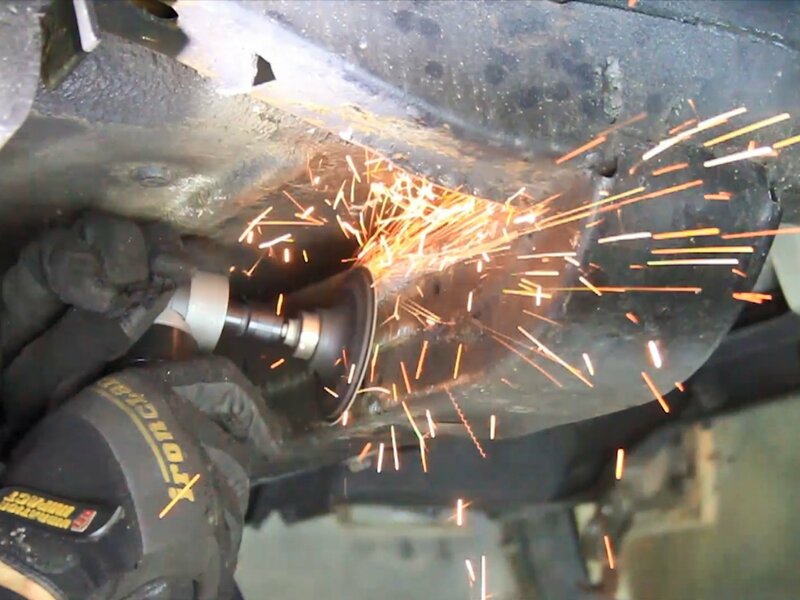 Thanks to the new CV-joint driveshafts and wheel-bearing hubs, suspension loads are no longer transmitted to the axle. 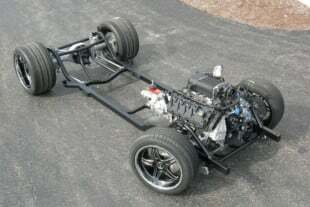 Chassis components are also mounted in-board, to allow for wider tires and wheels without the need for flared fenders. There are several options for the Corvette owner when ordering a DECAlink. The flexibility of DECAlink allows Corvette owners to use the factory 17-spline differential assembly, or upgrade to a 30-spline differential or Detroit Speed’s hefty Hammerhead 12-bolt differential housing. There are also options for single- or double-adjustable shocks, depending on the end-user’s intended purpose. 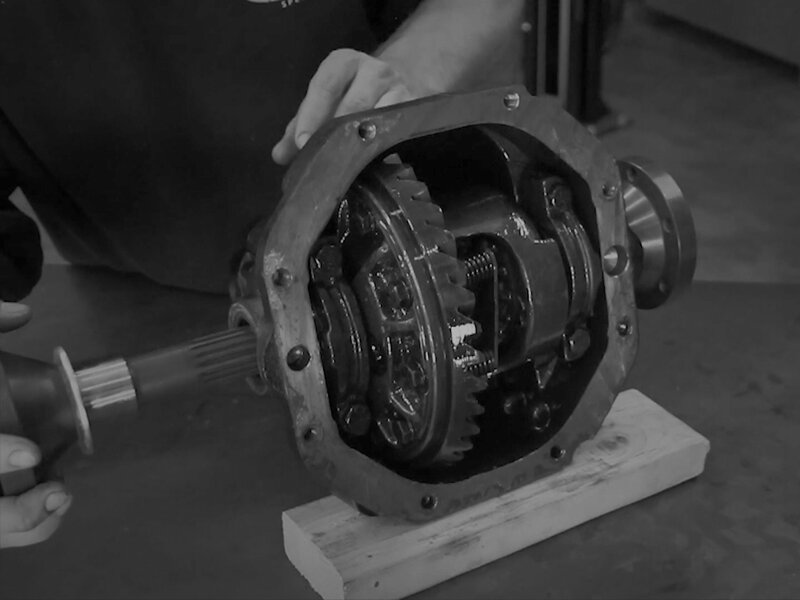 Customers can choose between the factory 17-spline differential, upgrade to the 30-spline shaft, or go full-upgrade with the beefy Hammerhead 12-bolt differential for the ultimate in strength. Note that the input stubs are designed to use CV-joints instead of U-joints, even with the 17-spline differential. The design of the chassis allows for a significant level of adjustment due to the entire suspension being connected through adjustable links between the chassis and the frame. By eliminating the stock leaf spring and going to a full 10-link IRS suspension, you are able to adjust all lateral and trailing links as well as the toe-links to help make a simple change to camber and toe settings for competition mode and street driving. You can also adjust the rear anti-squat geometry and roll-center height with the adjustable mounting positions offered with the DECAlink. The 10-link system mounts to sturdy trailing arm mounts on both sides. Designed to mount into the original T-arm pockets and at the bottom of the frame, they move the suspension inboard and allow for much greater adjustability and increased stability. The coilover shock and spring design also make it easy to change spring rates between competition and street driving. By replacing the stock halfshaft axles with modern CV joints and hub bearings, Detroit Speed was able to isolate suspension loads to within the IRS system, and not transmitted through the axle shafts. The outboard, forged, aluminum uprights utilize modern wheel hubs and provide mounting points for the suspension links, anti-roll bar, and coilover shocks. 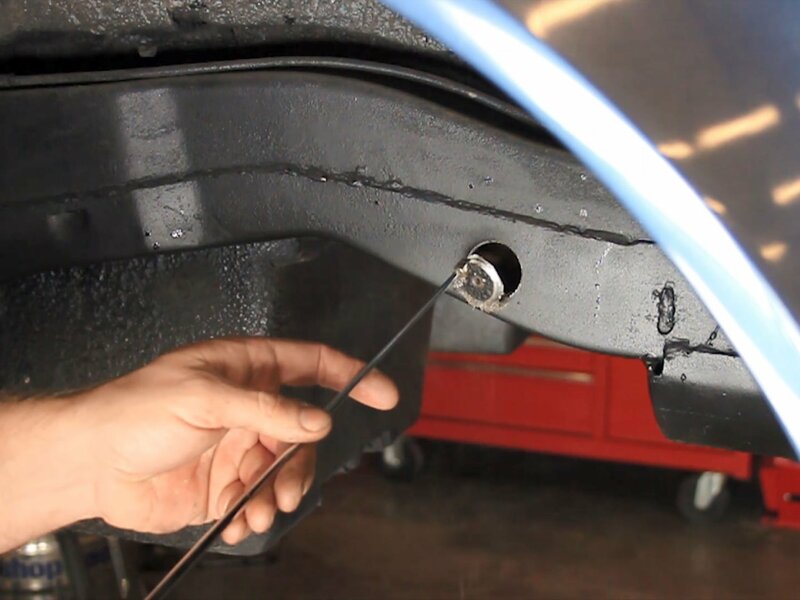 The offset-trailing-link mounting was kept in-board to allow for wider tires and wheels without fender flares — up to a 295 width tire on an 18-inch wheel. Detroit Speed’s forged aluminum uprights use modern wheel hubs and provide mounting points for the suspension links, anti-roll bar, and coilover shocks. DECAlink’s design will greatly improve the strength of the factory frame with a steel crossmember which attaches in-between the framerails and ties in with the front and rear cross members. This design increases strength and rigidity in the rear of the Corvette to give you the performance driving feel of a late model muscle car. As mentioned, the Corvette’s frame needs to be modified to allow the DECAlink to be installed. 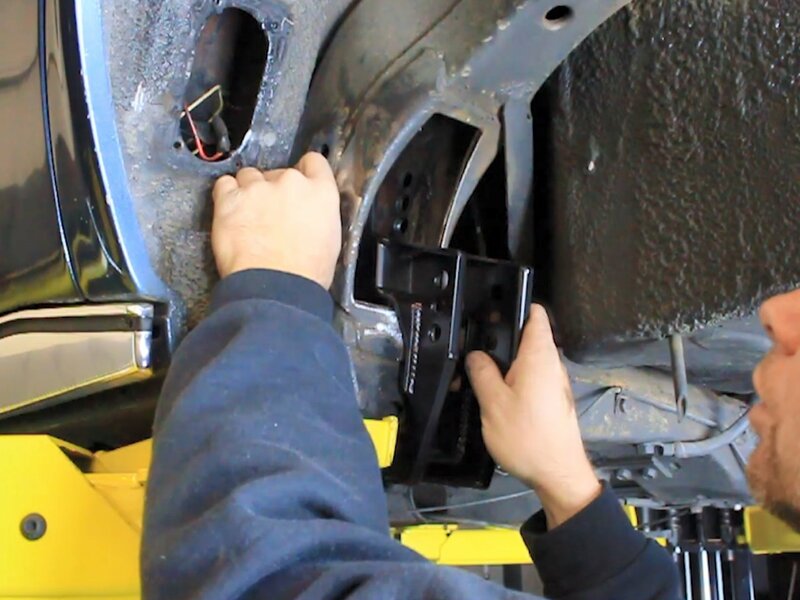 This includes the original frame bumper brackets, upper shock mount brackets, brake line brackets, and the additional plates used as a doubler at the trailing arm mounts. Later years (most C3s) will need to remove the trailing arm pocket plate from within the top of the T-arm pocket on each side. 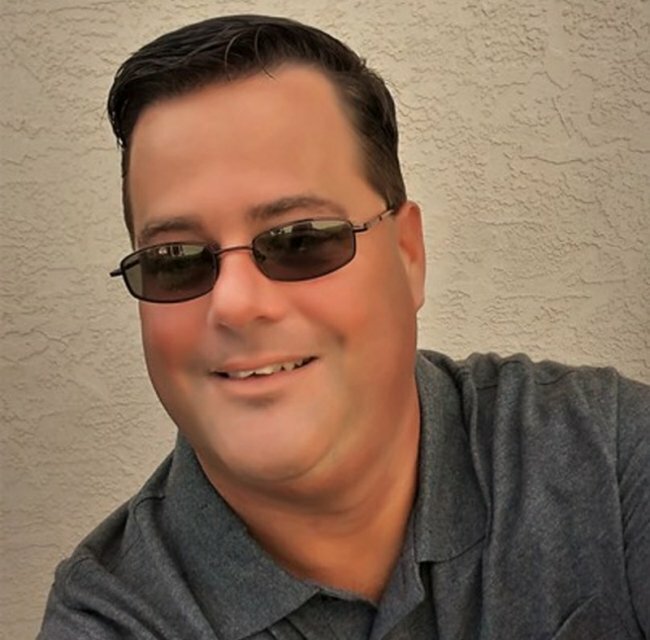 While the thought of getting out a grinder to your Corvette’s frame might make some wince, others who are constantly in pursuit of more performance might jump at the chance to cut a considerable amount of time from their laps or E.T.s. 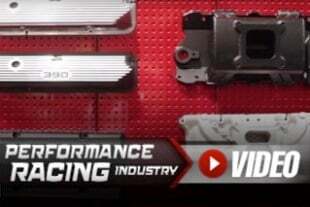 That is exactly who Detroit Speed designed its DECAlink suspension for. Detroit Speed has dominated autocross and track days with its 1972 Corvette fitted with the DECAlink system, showing the world vintage good looks can certainly run with the best of them when using modern technology to their advantage. Every DECAlink carries its own serial number plate for identification. The kit requires some drilling for access and mounting holes. Once all modifications are complete, a new coat of paint keeps rust at bay. Detroit Speed uses various threaded inserts throughout the build to supply the necessary captured nuts to tie all of the components to the frame. Ingenious! The DECAlink rear suspension system is equally adept at conquering the open highway as it is at carving corners, which shows the system’s ultimate adjustability and the engineering that went into the design. Let’s take a look at the preparation that takes place before installing the DECAlink chassis and then in the next installment, we’ll highlight the process of putting a great-performing suspension in the back of a C2-C3 Corvette. We assure you that no Corvettes were harmed in the making of this story. We simply trimmed its toenails so that the new shoes and socks would fit without interference.